Melissa De Sousa was born on 25 September 1967, in New York City, USA, of Panamanian descent. Melissa is an actress, best known for her role in the film “The Best Man” in which she plays Shelby. She was also part of the sequel “The Best Man Holiday”, but all of her endeavors have helped put her net worth to where it is today. How rich is Melissa De Sousa? As of late-2016, sources estimate a net worth that is at $2 million, mostly earned through a successful career in acting; she was also part of BET’s “Read Between the Lines” as Gabriella Jimenez. As she continues her career it is expected that her wealth will increase. Melissa started off wanting to pursue a career in ballet, studying at New York’s High School of Performing Arts, but she would then pursue an acting career after high school. During the 1990s, she made her debut as a guest on the show “The Trials of Rosie O’Neill”. She would then continue to appear in several shows including “ER”, “Married…with Children”, and “Silk Stalkings”. These appearances established her net worth. 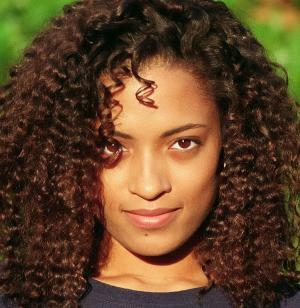 De Sousa would rise to prominence after she became part of “The Best Man” in 1999, which led to several more opportunities, including parts in “Ride”, “Lockdown”, and “30 Years to Life”. Her continued appearances in films and television shows helped her net worth increase significantly. Afterwards, she would become a part of the short films “This Fire This Time” and “Spark”. In 2000, she was cast in the series “The $treet”, but which only lasted for seven episodes. Two years later, she would then be cast in “One on One” and also in “Second Time Around”. A few of her latest projects include the sequel “The Best Man Holiday” in which she stars alongside Taye Diggs. She also appears in the television series “Single Ladies”, all of which contribute to her net worth rising. For her performance in “The Best Man”, De Sousa was nominated a Best Supporting Actress in a Film during the NAACP Image Awards. She’s also tried her hand at a stage career, becoming part of the production entitled “An Evening of Shakespeare”, in which she appears alongside Charles Dutton. For her personal life, there is no information in the media on any relationships. It is known that De Sousa grew up not being taught how to speak Spanish, and so has a lot of trouble communicating with relatives back in Panama. However, she started taking classes in the language and also does some lines for several shows. She also mentioned in an interview that she had troubles with finding work during some points of her career, generally because for some time she didn’t have an agent to help her. Melissa is also very active on social media. She has an Instagram account with almost 74,000 followers and she updates it on a regular basis. She also has over 14,000 followers on Instagram and more than 5,000 likes on Facebook. Her Twitter is regularly updated while her Facebook account has not been active for over a year.